Nikon pioneered HD video recording in DSLRs with the introduction of the D90—the first DSLR to offer 720p HD video recording capabilities in addition to still image capture. Subsequent models added Full HD (1080p) video, full time autofocus and full manual controls and 4K UHD capture. The D850 ups the ante further with Full Frame 4K UHD recording capabilities. Nikon calls its HD video feature D-movie Mode. The technology that makes video capable DSLRs possible is Live View. Live View is essentially a video image, played back to the LCD monitor for viewing; with the camera recording the video to the memory card. Sound can also be captured in D-movie Mode, by using either the cameras’ built-in microphone or, in certain models with an external accessory mic, such as the optional accessory Nikon ME-1 stereo microphone and the ME-W1 wireless microphone. Enhancing D-movies further are the long line of high quality NIKKOR lenses, which provide an incredible choice of focal lengths from fisheye, to super-telephoto, macro to perspective control, prime lenses and zooms. And, because the imaging sensor in video capable Nikon DSLRs is much larger than a typical camcorder, the resulting D-movie is of higher image quality and exceptional high ISO performance during low light shooting. 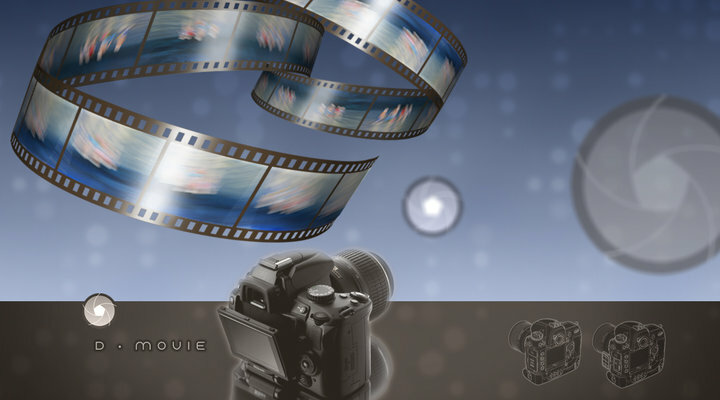 Movies also exhibit shallower depth of field due to the size of their sensors compared to typical camcorders creating a very unique look. Select Nikon DSLRs such as the D850 features a host of exciting new technologies that will make Nikon the camera of choice for everyone from the photojournalist capturing breaking news, to the wedding photographer adding “fusion” components to her offerings, to the broadcast videographer and multimedia content creator working on his next big story, or the budding filmmaker creating his own low-budget film. Dream Shot  Professional photographer Little Shao's movie Dream Shot, created using the D850 DSLR. H.264/MPEG 4 using B-frame compression for improved quality and modest movie file size. Video capture at Full Frame 4K UHD 3840x2160 at 30/25/24p. Full HD video capture of 1920x1080 at 60/50/30/25/24p. 1280x720 HD video capture at 60/50p. Full HD x4 or x5 slow motion movie recording at up to 120p. 4K UHD and Full HD recording in FX and DX Crop modes. 45.7 effective MP for 8k time lapse recording using interval timer and third party software. Built-in Time Lapse Movie mode in addition to the camera’s built-in interval timer function. This mode automatically creates an in-camera movie file from time-lapse images at 4K UHD resolution. Movie recording ISO range of 64-25,600. ISO Auto control for Manual exposure in Movie mode. Tilting Touch LCD with 2,359K dot resolution. Built-in stereo mic, built-in mono speaker and audio attenuator employed. The ability to control mic sensitivity up to 20 levels in-camera. The ability to connect headphones to the camera and control headphone volume independently from the audio capture volume. Audio levels are adjustable during video recording. The ability to shoot uncompressed video when recording directly to an external recording device via HDMI as well as the ability to record to both an external device via HDMI and to the card in the camera. View simultaneous live view output and record uncompressed video via HDMI. Simultaneous Live View so the camera operator can view the scene being captured on the camera’s LCD while a producer or art director can watch it on an external monitor display. HDMI Overlay, (on or off via a custom setting). The ability to set independent still image and HD Video exposures which you can go back and forth between if you’re shooting both HD Video and still images during the same shooting situation. The ability to save a still image JPG from the HD Video footage. Three Zebra Stripes patterns to choose from. Full time autofocus with Subject Tracking, Face Priority, Wide Area AF and Touch AF. Full HD focus peaking for manual focus control, with three sensitivity settings and the ability to choose from 4 colors when shooting in Full HD only. Power Aperture Control using Function and Preview buttons on camera. Flat picture control for more control in post-production color grading. Index marking for post-production editing. 4K Time-Lapse  From the vastness of the Bonneville Salt Flats to the majestic Uinta Mountains, see the stunning landscapes of Utah shot in 4K UHD with the new Nikon D850. Nikon advances D-Movie functionality with groundbreaking technologies.